Acne is a skin condition which is marked by inflammation, redness and pus-filled sores. The medical term for this skin problem is Acne Vulgaris. Acne typically occurs on the face, neck, chest, shoulders and upper back of a patient. Although mild acne is a common skin ailment amongst adolescents, it requires medical attention to prevent it from evolving and worsening over time. If left untreated, it could lead to acne scarring and also give birth to several psychiatric issues like low self-esteem and morale. The emotional consequences of chronic acne can be very severe. Adolescence is a time of intense peer pressure and low self esteem. The occurrence of acne can have a hugely negative on the patient as they feel embarrassed and ashamed of the effects that acne has on their skin. Occuring most commonly on the face, it is impossible to hide from others. It can leave the patient in a state of despair and failure. Cystic acne results in extensive sores on the skin but there are several different types. Patients may experience a unique combination of the below types. 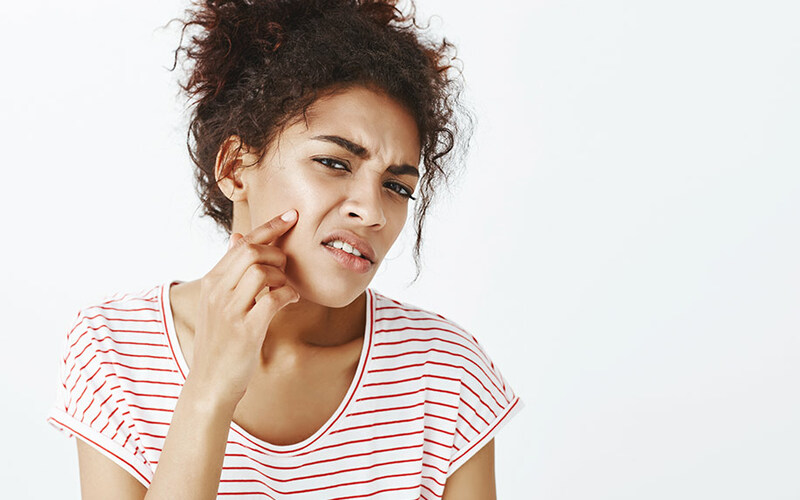 Although the above symptoms can occur in milder forms of acne, those suffering from cystic acne are likely to experience these symptoms on a very regular or constant basis. While mild forms of acne may come and go throughout adolescence, cystic acne is much more persistent. Cystic Acne is the most common form of acne. It is not at all unusual for teenagers to experience this form of acne at some stage or another. Although acne in its milder form is common as it is caused by the natural hormonal imbalance that most teenagers experience, cystic acne is a more serious condition is generally characterized by nodules and cysts which are much deeper in the skin, quite painful and take a long time to heal. This form of acne often requires special medical advice and therefore such cases are referred to skin specialists or dermatologists. A qualified doctor is needed because some of the drugs that are used for the treatment of cystic acne are not OTC products. Regular skin care products which target typical skin types are not potent enough to combat cystic acne. The products required contain controlled drugs which can only be bought under prescription or by qualified medical professionals. Therefore, if a patient requires a treatment plan which involves such medication, they must seek professional help.Severe cystic acne is more common in men but women do experience it too. There is a common belief that acne, whether mild or severe, is caused by oily food, poor hygiene and low quality lifestyle. However, this is not true. The fact is that cystic acne is simply caused by the hormonal changes typically experienced during puberty. Producing excess levels of androgens (the hormones that cause acne) can lead to oily skin or excess skin cells. When dead skin cells or excess oil clog the pores of the skin, bacteria can become trapped within the pore. It is this bacteria which causes the redness, soreness and possible build up of puss. This can cause cysts to form under the skin. If and when the cyst bursts, the bacteria is spread across the skin. 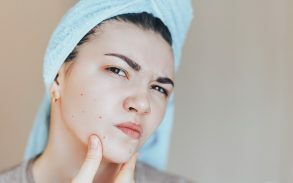 It is also common for women to experience flare ups of acne at specific points throughout their menstrual cycles as a result of the hormonal changes which menstruation causes. Genetic and hereditary factors are also relevant in the cause of cystic acne. If one of your parents had severe cystic acne, your chances of developing the condition are increased. The treatment focuses on two issues; to minimize scarring and heal cysts rapidly. Mentioned below are the three common methods for treating cystic acne. Topical retinoids or vitamin A creams are one of the standard treatments used by doctors to address cystic acne. These are also available in gel and liquid forms. However, they are not powerful; especially those which are available without prescription. On the other hand, prescription based topical retinoids are strong enough to unplug pores and hair follicles which have been clogged by the excess oils produced in the skin and thereby clear and prevent severe acne. 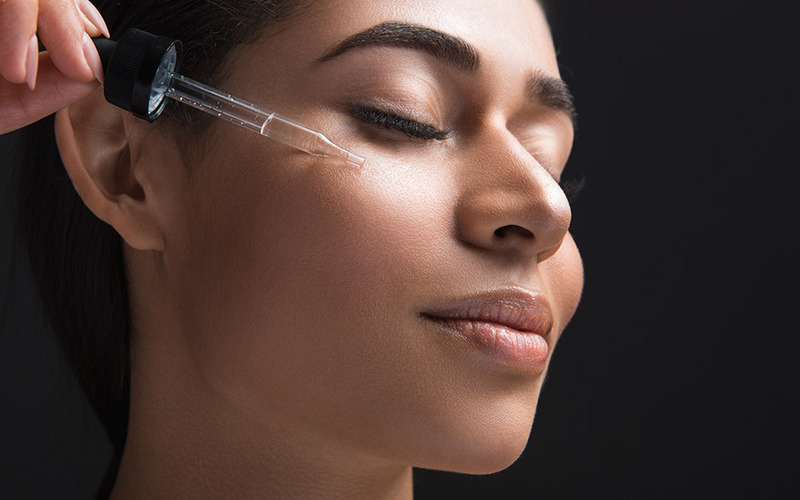 Retinoids are typically used in conjunction with topical antibiotics to enhance the treatment further and maximise results for the patient. Antibiotics are usually recommended along with topical retinoids. However, they are also used as a stand-alone treatment for a short time as antibiotics tend to lose their effectiveness over time. This is because the bacteria build up a resistance to the antibiotic in time, making them less and less effective. For this reason, they are not seen as a useful long-term treatment. However, antibiotics help reduce the spread and swelling by eliminating bacteria formation. Unfortunately there are always possible side effects of oral antibiotics include stomach pain, vomiting, nausea and diarrhea. Tetracyclines and in some cases, isotretinoin, is used to treat this form of acne. These are powerful extracts of Vitamin A which are generally taken in tablet form. This is one of the most effective treatments for cystic acne as it can reduce inflammation and provide relief for the patient within four to six months. 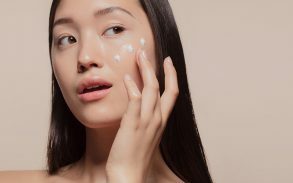 However, there are some serious risks associated with isotretinoin, especially in the long run, which may include nosebleeds, dry and itchy skin, dry mouth, cracks in the corners of mouth and rashes. Unfortunately, while there are steps that you can take to minimize your chances of developing cystic acne, there is nothing that will guarantee total avoidance of the condition. However, the following steps are seen as best practice in relation to general skin care and may help you to keep your skin in the best possible condition and health. 1. A comprehensive and consistent skin care routine can combat excess oils in the skin and keep pores clear and unclogged. 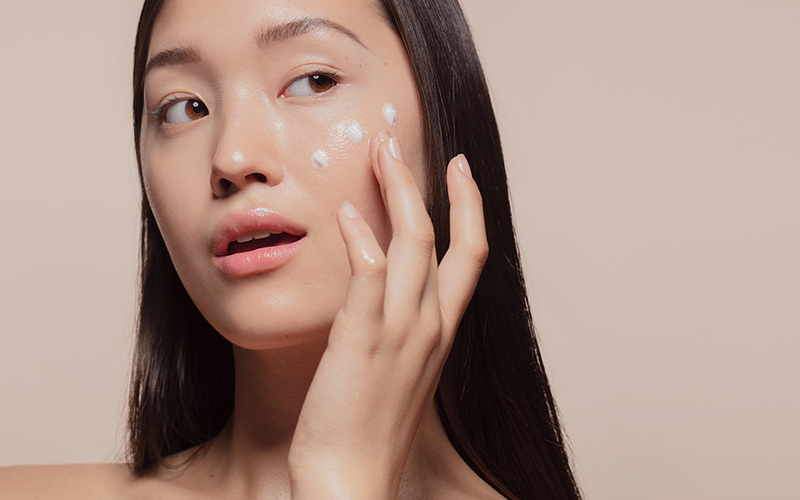 Depending on your skin type, the products involved in this routine will vary. 2. A healthy and varied diet can keep the immune system strong and in good health, maximizing your ability to fight off possible infections within the skin. 3. Changing face clothes each time you wash your face can avoid the spread of bacteria which will make acne worse. 4. Drinking plenty of water has been strongly linked with keeping the skin clear and supple. 5. Avoidance of using unnecessary supplements or medications which change the natural balance of hormones and could lead to cystic acne.